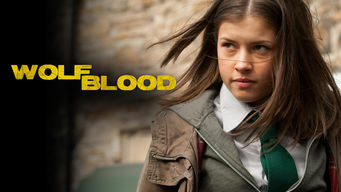 How to watch Wolfblood: Season 3 (2012) on Netflix Brazil! Sorry, Wolfblood: Season 3 is not available on Brazilian Netflix, but you can unlock it right now in Brazil and start watching! With a few simple steps you can change your Netflix region to a country like Spain and start watching Spanish Netflix, which includes Wolfblood: Season 3. We'll keep checking Netflix Brazil for Wolfblood: Season 3, and this page will be updated with any changes. 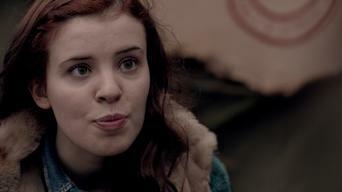 Wolfblood: Season 3 is not available in Brazil BUT it can be unlocked and viewed! This supernatural drama series follows a teenage girl who has the powers of a werewolf: heightened senses and super strength and speed. She's already dealing with bullies, parents and pimples. Don't get this hormonal teen mad, or she'll bite your head off. Season 1 of Wolfblood has 13 episodes. Because different Netflix countries have different availability for episodes, you'll need to check the episode listing below to see which are available in Brazil. Maddy has a secret: She can transform into a wolf. But her world gets even stranger when a boy with the same ability moves into her neighborhood. Determined to find proof of wolfbloods, Tom and Shannon go on a beast hunt, just as Rhydian and Maddy learn that there are wolfbloods who roam wild. A school art exhibit with the theme of family brings out discussions about several strained relationships -- and ends in the exhibit being vandalized. Under the pressure of exams, not to mention the anticipation of her first change, Maddy's secret is becoming more and more difficult to contain. On an overnight school trip to the historic isle of Lindisfarne, Maddy and Rhydian might be forced to transform while they're far from home. Still energized by her transformation, Maddy decides to adopt a new identity, with an entirely different look and a whole other set of friends. On the day of the dark moon, Maddy and Rhydian's wolfblood powers are completely drained. In biology class, Shannon tries to analyze Maddy's blood. Shannon suspects wolfbloods are to blame for the animals that have been disappearing around town, so she invites Maddy, Tom and Rhydian on a hunt. Rhydian gets in trouble with the law when he sniffs out a box of expensive clothes in the woods and sells them at school for a profit. When Rhydian meets a homeless, wild wolfblood who introduces him to new powers he never realized he had, he is forced to make a difficult choice. When Rhydian shares his knowledge of Eolas to Maddy, she becomes addicted to using her new abilities and is soon forbidden from seeing Rhydian. Maddy and Rhydian trick their way into running wild outside of the den. Meanwhile, Shannon meets a handsome beast tracker and joins him on a hunt. Though she ultimately intends to find protection for the wolves, Shannon gets in over her head when she tries to prove their existence. Season 2 of Wolfblood has 13 episodes. Because different Netflix countries have different availability for episodes, you'll need to check the episode listing below to see which are available in Brazil. 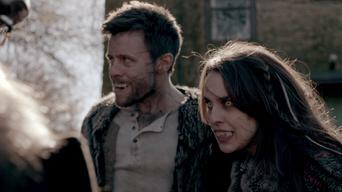 Rhydian unexpectedly returns to Stoneybridge, chased by Alric and two of his beta wolves, Arran and Meinir. This puts Maddy and her family in danger. 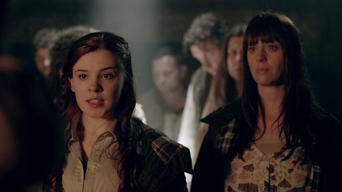 An unexpected arrival puts the wolfbloods in jeopardy and Maddy must choose sides. 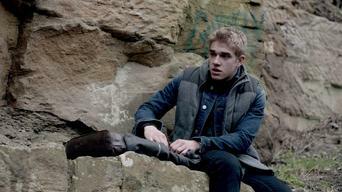 A forensic scientist is about to uncover the Wolfblood secret after Liam's father ploughs up an old skeleton. A lunar eclipse gives the wolfbloods a chance to experience something new, and Shannon reveals a hidden talent. 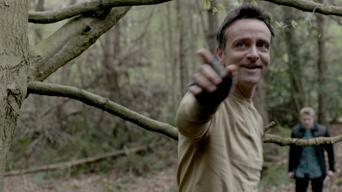 Alric returns with an ultimatum for Jana, and Rhydian has a choice to make. Maddy, Emma, Daniel, Tom and Shannon are lured to a creepy old house. Rhydian learns something new about Jana. The feuds within the pack escalate when student elections are held, putting them all at risk. Jana is after Shannon's computer, and Maddy must decide where her best interests lie. 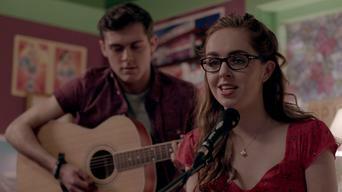 Maddy blames herself for Shannon's depression and hopes to makes things right at Kara's school disco, which is being held on a no-moon night. On an orienteering trip, Liam, Maddy and Rhydian go looking for an old "werewolf" lair. Ceri unexpectedly turns up at the caravan with extraordinary news for Jana. 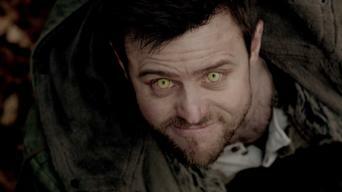 Alric comes looking for revenge and Liam goes back into the tunnels with Jimi and Sam. The world closes in on the Wolfblood secret. Could this be the end for the pack? Season 3 of Wolfblood has 14 episodes. Because different Netflix countries have different availability for episodes, you'll need to check the episode listing below to see which are available in Brazil. A Wolfblood recruiting for the Segolia Corporation tells Rhydian a shocking secret. He, Shannon and Tom must face a new future -- and an old foe. An unexpected arrival puts Rhydian's leadership skills to the test as events force him to choose between life and death. When Tom and Rhydian forage for food, Tom is accused of poaching, so Shannon offers an alibi that forces her and Tom to pretend they are dating. Rhydian's father appears seeking reunion and forgiveness -- or so it appears. Dacia seems unusually interested in him and the wild Wolfbloods. Conflicts are ignited when some ancient Wolfblood relics are discovered; Tom finds a kindred spirit in Kay, and the sparks start to fly. When Jana is lost without her pack under a full moon, her inner wolf becomes a morwal -- a bitter, angry beast with a savage instinct to attack. Rhydian and Jana search for an abandoned Wolfblood cave; Shannon gets sponsored by Segolia to follow her dream; Tom faces the wrath of the K's. Rhydian and Jana mysteriously collapse as a comet appears during the dark of the moon, and only Shannon can possibly save the day. Jana, Tom and Shannon travel to Segolia, where Tom makes a mysterious and terrifying discovery that alters the course of his life. When someone tampers with a serum Tom ingests, he acts out in dangerous ways, prompting Rhydian, Shannon and Jana turn to Segolia for help. When Tom's odd behavior piques his former teacher's curiosity, Mr. Jeffries follows Tom and his friends and witnesses more than he bargained for. As the net closes in on Gerwyn, he learns about the motives behind Sweeney's actions and the identity of the real enemy. The wolfbloods face their toughest challenge yet when confronted with Kincaid's monstrous plan to eradicate their species. Jana returns to the pack months after leaving Stoneybridge and assumes leadership, but ties to the human world cause problems for her within the pack.